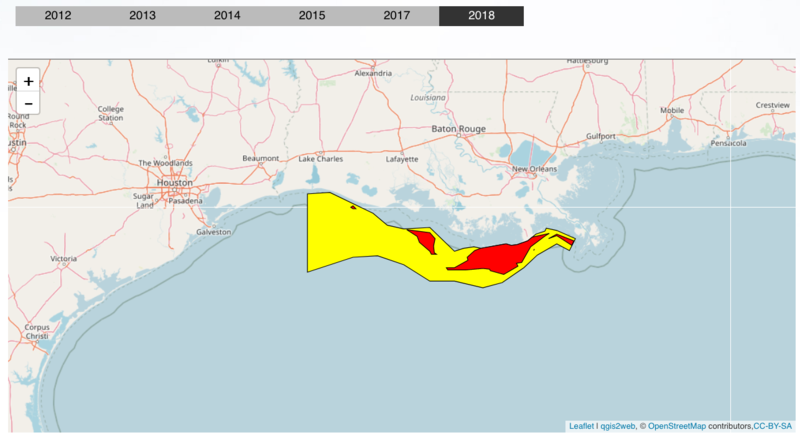 The 2012 Gulf of Mexico dead zone is the fourth smallest since mapping began in 1985 – likely due to drought-induced low amounts of runoff into the Mississippi. 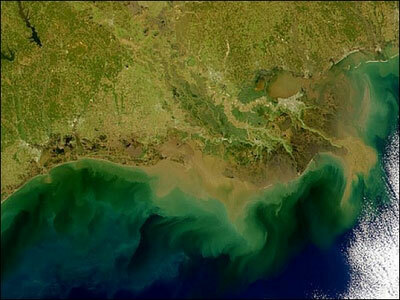 The oxygen-starved dead zone in the Gulf of Mexico has grown to only 2,889 square miles in 2012. 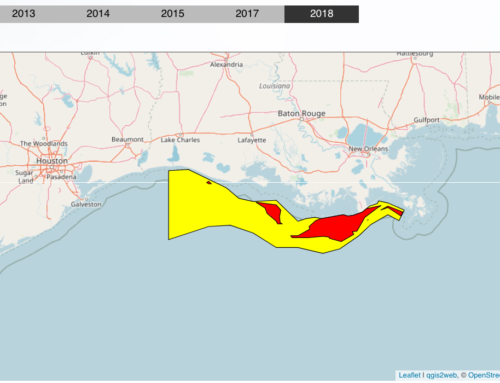 This year’s dead zone is the fourth smallest recorded since mapping began in 1985 according to scientists supported by the National Oceanic and Atmospheric Administration. 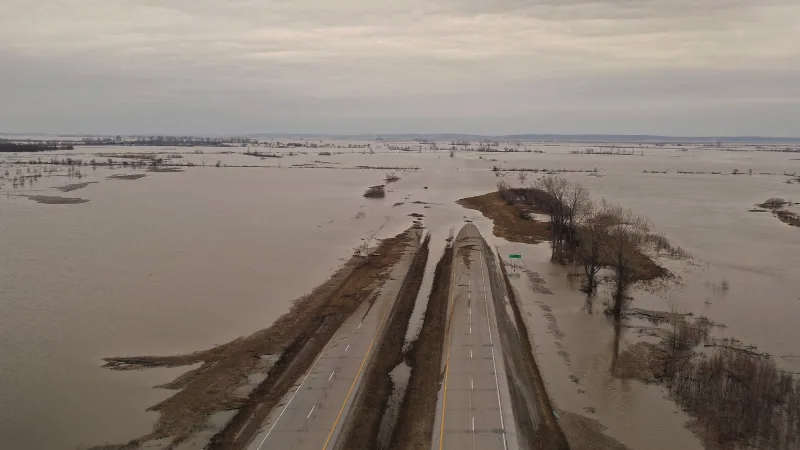 The small size of the dead zone was likely driven by drought-induced record low amounts of nutrient runoff to the Mississippi River watershed. Every summer nutrient runoff from agriculture and other human activities travels down the Mississippi River watershed into the Gulf of Mexico. Once nitrogen and phosphorous reach the warm waters of the Gulf of Mexico, they can trigger harmful algae blooms. When algae from these blooms die they decompose, and the decomposition process uses up most of the available oxygen in the water. The lack of oxygen, known as hypoxia, is extremely detrimental to fish and other bottom dwelling marine life. Aquatic life that cannot escape from the low oxygen waters die. Hence, the algae bloom in the Gulf of Mexico is often referred to as a ‘dead zone’. Algae blooming at the mouth of the Mississippi River. Image Credit: NASA. The dead zone in the Gulf of Mexico begins to form in late spring of each year and reaches a maximum extent in midsummer. The dead zone eventually disappears in the fall. Large dead zones pose an economic threat to recreational and commercial fisheries. 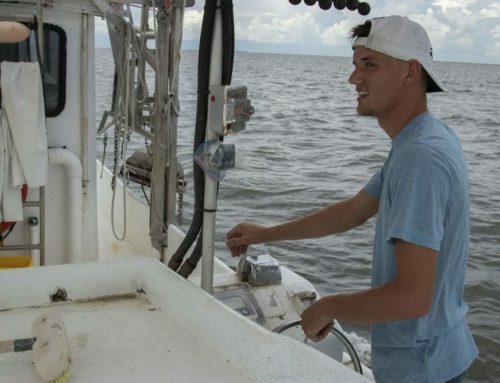 Scientists supported by the National Oceanic and Atmospheric Administration (NOAA) have been monitoring the size of the Gulf of Mexico dead zone since 1985. From 1985 to 1992, the extent of the summer dead zone averaged about 3089 to 3475 square miles (pdf, page XV). By 1993 to 1997, the size of the dead zone had grown to 6178 to 6950 square miles. The largest dead zone ever recorded occurred in 2002 and measured 8400 square miles. Image Credit: EPA, Mississippi River Gulf of Mexico Watershed Nutrient Task Force. 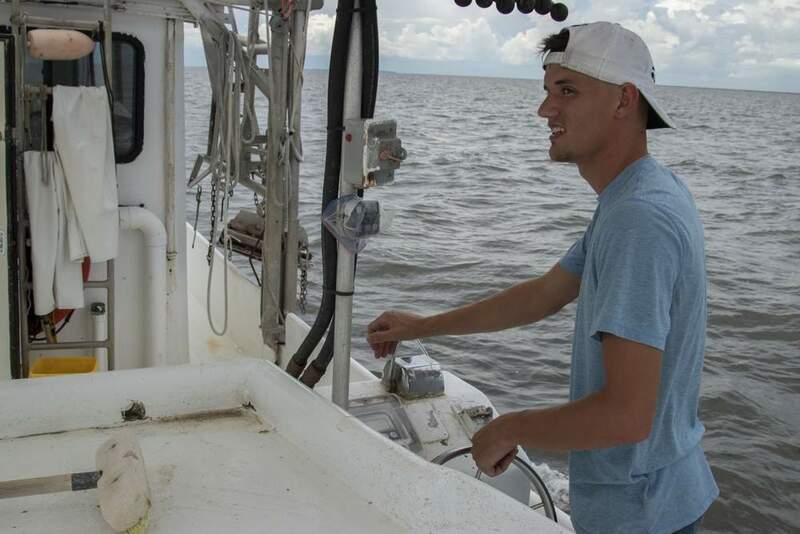 The Mississippi River Gulf of Mexico Watershed Nutrient Task Force has set a goal to reduce the 5-year average size of the dead zone to no more than 1930 square miles, largely through the use of activities aimed to reduce nutrient runoff. Results just in from the 2012 survey indicate that the Gulf of Mexico dead zone is small this year. 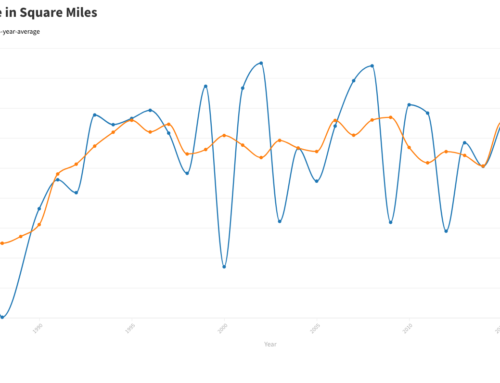 Currently, the dead zone is measuring only 2889 square miles. 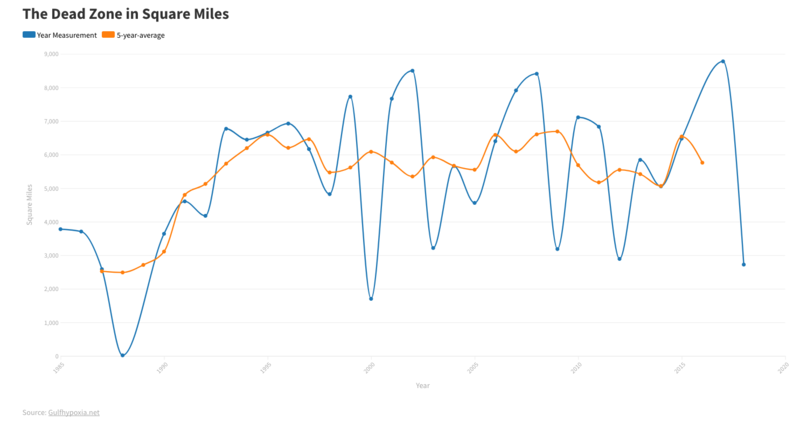 The smaller area was expected because of drought conditions and the fact that nutrient output into the Gulf this spring approached the 80-year record low. 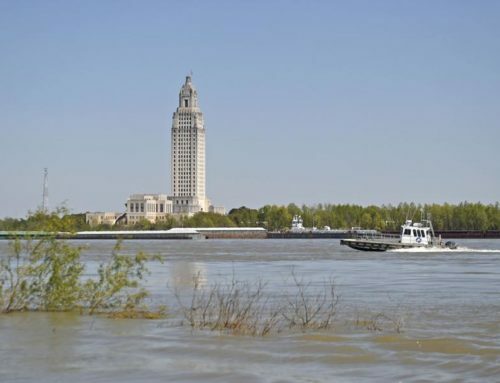 The 2012 findings are helping to confirm that there is a strong relationship between the size of the Gulf of Mexico dead zone and the amount of water and nutrients carried to the Gulf by the Mississippi River. 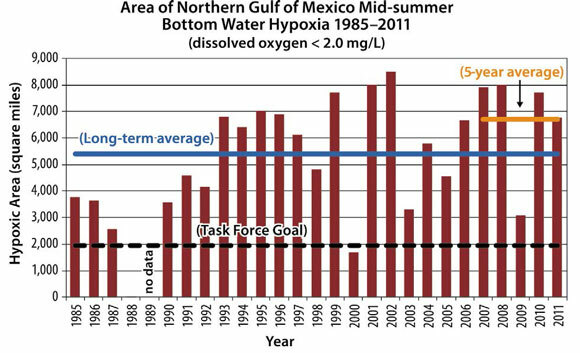 Bottom line: The oxygen starved dead zone in the Gulf of Mexico has grown to only 2,889 square miles in 2012. This year’s dead zone is the fourth smallest recorded since mapping began in 1985 according to scientists supported by the National Oceanic and Atmospheric Administration. 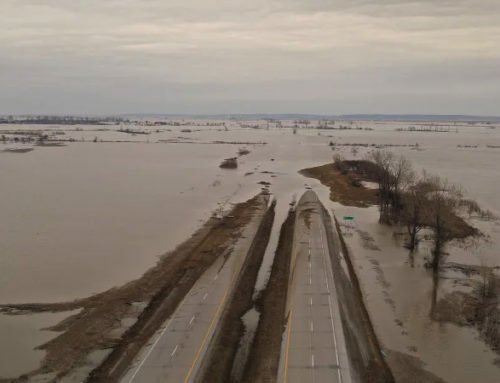 The small size of the dead zone was likely driven by drought-induced record low amounts of nutrient runoff to the Mississippi River watershed.